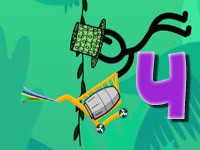 Hambo is back once again in the second instalment of the free online game. However, this release is not related to the first version of the game. In the first one, Hambo destroyed his enemies after coming back from Vietnam and rescued his sidekick Bacon. When you play Hambo 2, the story takes place where mobsters rule Chicago. In particular, Hambo is a cop who wants to clean the streets and take out the mob boss Ham Capone. He will need to use all the weapons he has in his arsenal if Hambo wants to take out the mafia. 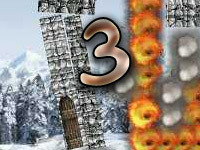 With an intense background theme that plays on every level, there is a sense of thrill when you play Hambo 2. Like the first game, you will have to rely on physics and your aiming skills to kill your enemies. 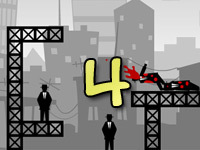 At the same time, a lot of the stages require the use of the environment to actually take out the mobsters. Not only will you have to rely on your skills, but your instincts as to which weapon will be best for a particular level will have to come into play. 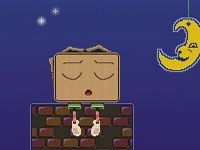 Help Hambo clean up the streets of Chicago from Ham Capone in this free online game!